As concern grew over the Soviet arms shipments to Cuba in the summer of 1962, the CIA began providing detailed intelligence reports on Cuba first to the Special Group and then to the National Security Council / ExComm. The initial reports in August, prepared for the Special Group, were brief, usual one to three pages. That initial series was halted on September 19, with Cuba developments being folded back into regular CIA reporting. Special reports resumed with the outbreak of the Cuban Missile Crisis in October. Those reports, prepared for the ExComm, were much more detailed. In addition to the regular report prepared at 6 AM and typically summarized verbally by the Director of Central Intelligence or his representative at the outset of each ExComm meeting, there were occasional reports focused on specific related issues. The CIA did not simply stop monitoring Cuba in 1963, of course, and a number of reports into the 1960s are included below. Most of these were originally classified as Top Secret. Many of these copies released by the John F. Kennedy Library and Lyndon B. Johnson Library contain redactions of classified material. Mandatory review of many of these redactions has been requested over the years; newly released iterations of the reports will be added as they become available. 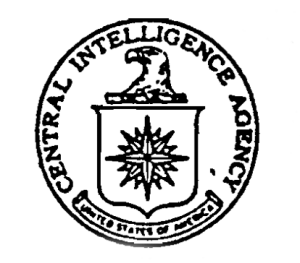 This is not a comprehensive archive of every CIA report on Cuba. If you’re after a report not included here, the best places to start to track them down are the John F. Kennedy Library (National Security Files), Lyndon B. Johnson Library (National Security File), or National Archives at College Park (Record Group 263).